Why You Should Play Design This Home? Article - Virtual Worlds Land! Why You Should Play Design This Home? Rate this Article What features make this virtual world simulator a "must play"? 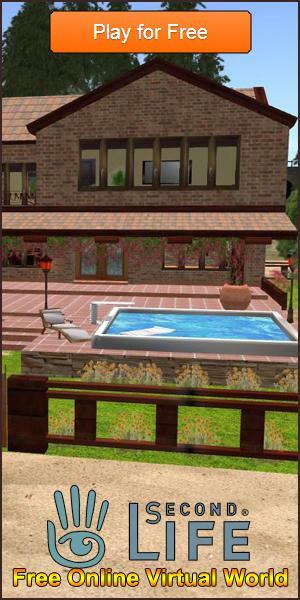 Design This Home is a virtual home simulator that allows players to create their own households from scratch. You can download this game for free at Big Fish through the Big Fish Game Manager App. Because downloading takes some time to accomplish, you might want to ask yourself: “Is this game even worth the time needed to download, install and validate the game? The first reason why you should play this game is: there’s plenty of room for creativity in this game. In real life, you might be constrained in your creativity by the space available to you when you design your own home or a client’s projects. In this game, however, you have a very big house to play with. If one is to quantify the size of the property, it would be around 100 to 200 square meters in real life. That’s quite big! The house is big enough to accommodate a sizable dining room, a large living room, and equally humongous Master’s Bedroom, Children’s Bedroom, Kitchen, and even a large Bathroom. All of these are yours to design and mold to your personal preferences. Didn’t you want to create a house, after all? With this game, you can easily make it as big as you dream it to be. In this game, you have plenty of things to do. The goal here is to accumulate enough income by growing your house’s value. At first, your house won’t be worth very much, roughly $1,000 or so. However, as you start modeling the house according to the game’s tasks or your own preferences, it will begin to accumulate income. This income you can collect after a certain period of time. The higher your house’s income is, the longer the waiting period before it can be collected. That’s fine, however; when your house is worth nearly $100,000, you can afford to wait while still continuing to add new decorative elements to your home. While you can always do your own thing with this game, it’s still a good idea to follow the tasks laid out in a clipboard in the lower left section of the screen. Similar to quests in an MMORPG, the tasks give you rewards like in-game cash, gold coins and Experience points. Of course, accomplishing tasks will increase the value of your house. There are many rewards for playing the game. Accumulating experience points will level you and your house up. With each level you go up to, you also unlock certain items that you can use for your house. The more items you unlock, the more value you can give to your total income when you add these items to your house. Finally, Design This Home will not take up too much of your time. You can just follow the tasks in the Tasks list, and then proceed to other jobs you might have for your day. You can just leave the game running in the background. You will be notified by the game client when an item that you added to your house has been delivered and ready to be accepted.